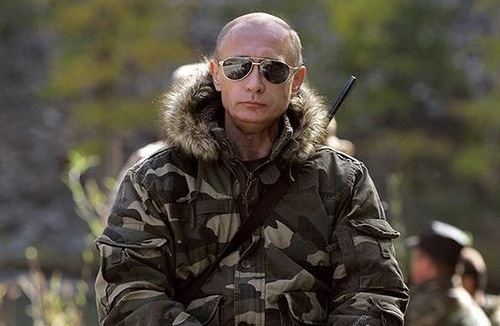 Russian president Vladimir Putin is planning to celebrate his 63-th birthday at the ice rink of Olympic Park, Sochi. The head of Russian Federation will take part in a gala match along with famous athletes, politicians, businessmen and players of the Night Hockey League. Team members have already prepared him a gift, intending to present it right after the announcement of the results of the match. The organizing committee of the Night Hockey League informed «Izvestia» about the upcoming hockey game on October 7th. President Putin’s spokesman Dmitry Peskov has not revealed the details of Vladimir Putin’s schedule for the day, but he did mention that the president «is definitely not going to take time off». According to NHL spokesman Dmitry Nesterov, among the intended players are Vladimir Myshkin (goaltender), Vyacheslav Fetisov, Alexei Kasatonov, Yuri Lyapkin, Irek Gimaev, Pavel Bure, brothers Alexander and Vladimir Golikov, Alexander Yakushev, Alexander Kozhevnikov, Viktor Shalimov, Sergey Makarov, Andrei Kovalenko and Alexander Mogilny. Also the Governor of Moscow region Andrey Vorobiev, the head of Tatarstan Republic Rustam Minnikhanov, Defense Minister Sergey Shoigu, businessmen Arkady and Boris Rotenberg are highly likely to hit the ice together with the president. Two-time Olympic champion Vyacheslav Fetisov is going to be teamed with the president. 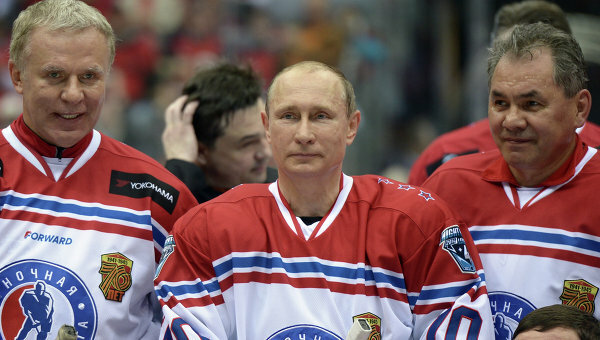 He told «Izvestia» that the team members have already prepared Vladimir Putin a hockey gift. - It’s a token of respect from all the hockey stars around the world. We think he’ll like it. – he says. Talking with «Izvestia», the famous player noted the excellent physical condition of the president. According to him, sometimes their practice lasts for an hour and a half without any fatigue occurring. - The most important thing is that Vladimir Putin has so much fun playing hockey, and we are glad to share it with him. He’s playing better and better. If he started playing as a kid, he would become a professional; he understands the intricacies of the game, which is rare. I’m sure that his technique will improve more and more if he keeps playing. The only problem is a lack of time due to his busy schedule. – tells Vyacheslav Fetisov. 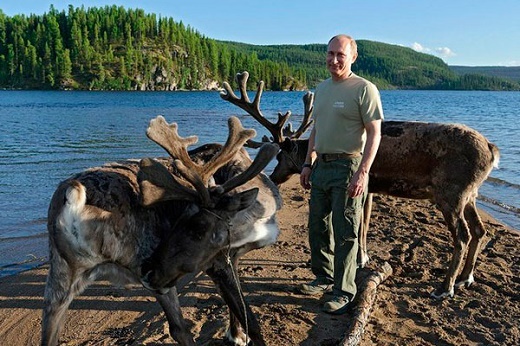 In fact, Vladimir Putin usually works on his birthday, but that day last year he took time off for a first time. He celebrated it in the Siberian taiga, 300 km from the nearest village. President Putin turned 61 when he was attending the APEC summit in Bali. The President of Indonesia Susilo Bambang Yudhoyono was among the first to congratulate the head of Russian Federation. During the ceremony of meeting summit participants, as Vladimir Putin stepped into the reception hall, Indonesian colleague took a guitar and sang a famous song «Happy Birthday to You». Other APEC leaders supported congratulations applauding and singing along. Vladimir Putin did not expect such a greeting and felt a bit embarrassed. 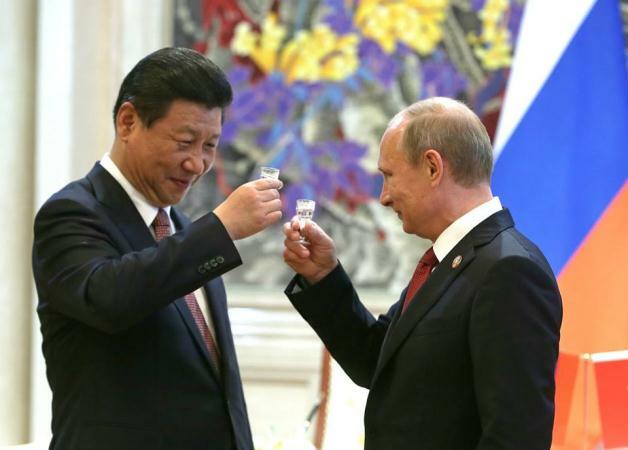 In the evening, President, by his own admission, drank a little vodka with the head of China Xi Jinping. - Did we celebrate? A little. Chinese delegation was the last we met. I suggested our Chinese friends to raise a glass of vodka on the occasion. They agreed, we did it. It felt really good – warm and friendly. – Vladimir Putin shared with reporters, adding that the Chinese presented him with a large cake that was «happily wolfed down». President celebrated his 60-year anniversary in his home-town St. Petersburg, among friends and family - no public celebrations or work meetings took place since it fell on Sunday. 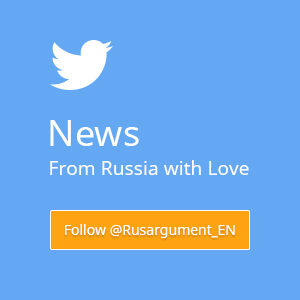 According to Dmitry Peskov, Vladimir Putin usually works on his birthday or celebrates it with his close relatives and friends.